In my humble opinion, the gorgeous Snaefellsnes peninsula can and may not be skipped during a visit to Iceland. If you just want to explore the highlights, it only adds a day to your journey. So here’s my recommendations of things to see on a one day trip to Snaefellsnes, plus the minimum amount of time you should spend on each location. 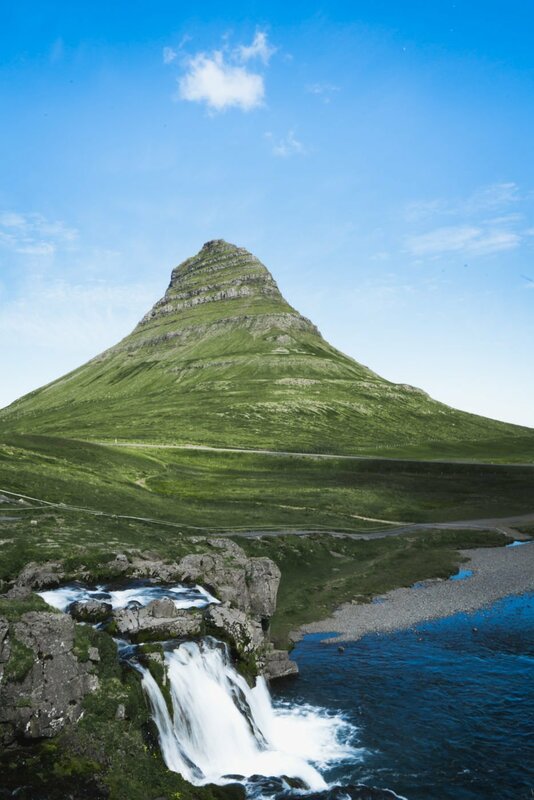 A must-see on your day trip to Snaefellsnes is Mount Kirkjufell, made famous by Game of Thrones. I don’t watch that show so I only knew Kirkjufell from seeing it on the internet. Since it is conveniently located right next to the road, I thought it was worth a stop. There are much likely going to be a lot of people there and the parking lot is super tiny! In all honesty it’s getting quite dangerous because if the parking lot is full people are going to stand still on the road. I hope they make it safer in the near future. A long-exposure shot and a wide-angle lens will make a great picture! You can skip this crater. There’s only very limited info available on-site on how it was created and you’ll have to climb an annoying staircase to reach the top. The inside of the crater is not filled with water or anything, like you would find in Kerid for example. If you don’t have a drone to make an epic shot of Saxholl, the crater just doesn’t look that beautiful. Skip Saxholl and head to Svörtuloft instead! It’s only a few kilometers from the main road but you’ll feel as if you were on the edge of the world. Located in the western part of the peninsula, you can visit the Svörtuloft lighthouse or the much smaller Öndverđarnes lighthouse. Skarðsvík Beach is also worth mentioning, it’s a tiny beach nicely hidden between the cliffs. I’m not sure if the road towards the lighthouse is classified as an F-road (only suitable for 4WD vehicles), but it has some incredibly rocky sections so careful driving is advised. Beautiful cliffs and a great place to spot some puffins! Bring your binoculars, the puffins are not going to land in front of your feet. The mysterious Vatnshellir cave is nearby and there are guided tours on a regular basis. 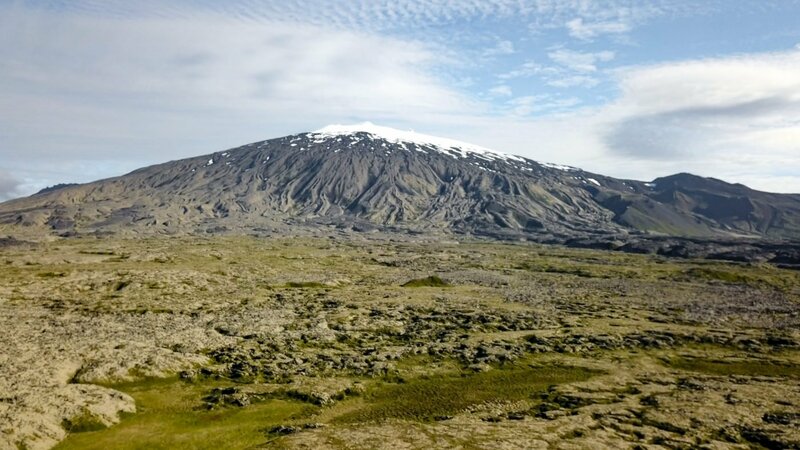 From the area you have a great view of Snaefelsjokull’s prettiest side! The white house near the cliffs made the town of Arnarstapi famous, mainly thanks to Instagram. 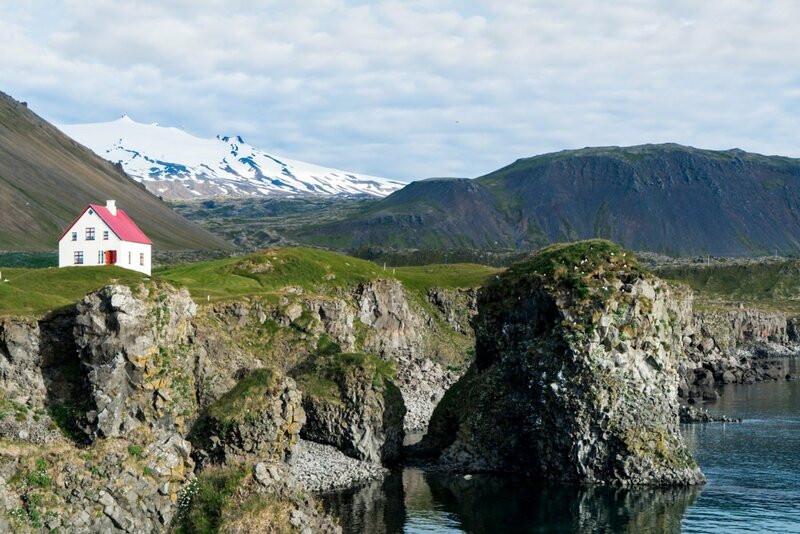 But this ‘lonely house’ is one of Iceland’s biggest hoaxes. The house, in fact, is not on a remote location at all. See my image underneath? The rest of the village is actually just outside of the frame of the image. Behind the small green hill that you can see in front of the house, are two cars parked from the owners. The image is shot from the port of Arnarstapi. If you stand on a very specific spot, you can recreate this image and make it look like the house is the only sign of civilization in miles! The place to see the iconic Búðakirkja. The picturesque church is the only thing worth mentioning in this little town. The nearby pricey Budir Hotel owns the church and holds wedding ceremonies in it. But luckily you don’t need to stay there to view the church. Just walk up to the grass and start snapping. Plus, Hotel Ranga and Hotel Husafell are a much better option to enjoy a luxury experience in Iceland. If you can’t make it to Snaefellsnes during your trip to Iceland, don’t worry! Brautarholtskirkja, a bit north of Reykjavik, is actually a very similar church, and nearly no one knows about it! 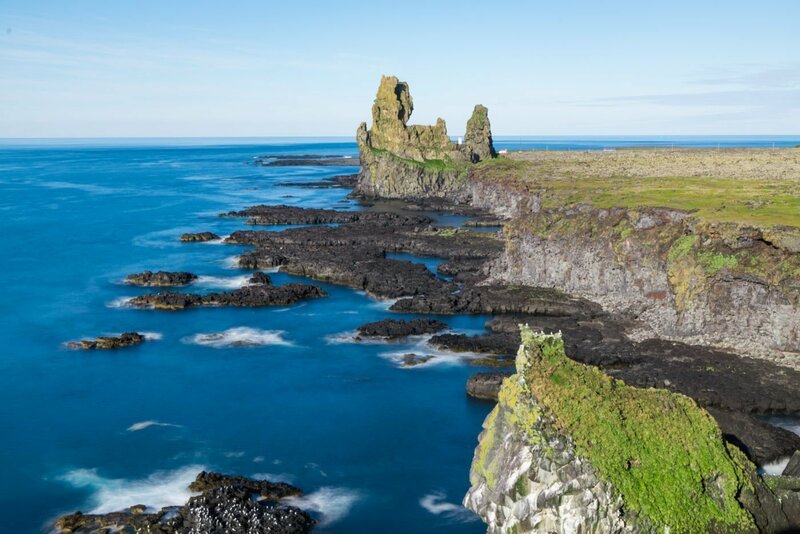 I hope you’ll find these recommendations for a day trip to Snaefellsnes helpful. 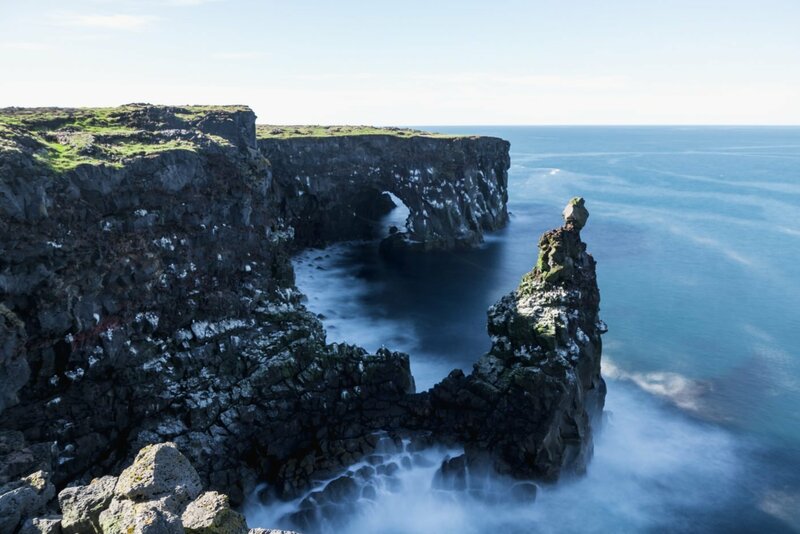 You can easily combine Snaefellsnes with 10 must-see natural attractions in South Iceland. Rather have some recommendations about less touristy spots in Iceland? 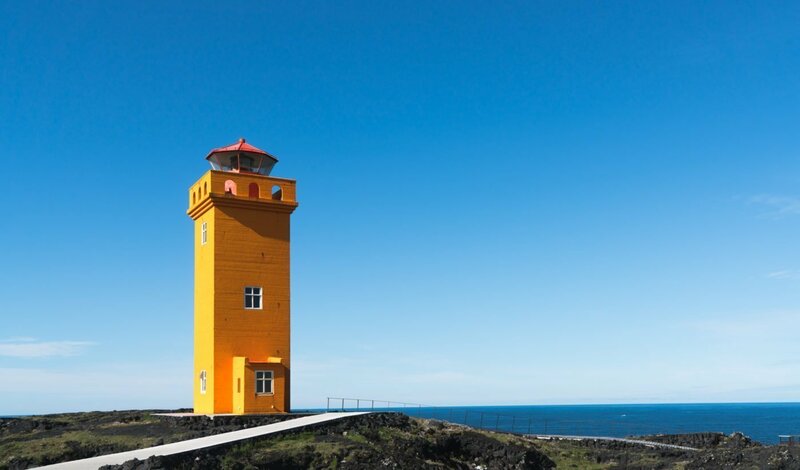 You can read my top 10 picks of Iceland’s hidden gems here and here. Are you visiting Iceland soon? Feel free to ask me anything in the comments below.